Namco Funscape! Well I’ll be . . . . my offspring was there last year while on a London city trip. I wounder how expensive a day there would be for someone that just wants to play a few games for old time sakes? Cool that you mention House of the Dead because I liked it a lot too. Never got far. Felt dam hard. One must know in advance where to shoot and keep close track of the bullet count or you die fast. And another fool goes out. – Day 18, Fizban, Killed by a Mass grave at level 1 after 17.63 days of travel. Fizban had 0 gold pieces in his purse and managed to gain 4 experience points. Fun trips can be very refreshing to the body and mind. The option in game to do challenges is limited by either date or urb (Developer) needs to start them manually. Furthermore there are only about 5 challenges that each last a week that are currently implemented. Right now challenges are not available in MnB3. Good day recruits. How’s it going? More like seeds that have not broken through the ground yet. Here a different approach to Profile Rank effects on the game. You should not start the game with basic GIs and then morph them into a special unit but rather have a random rooster of soldiers (each time you deploy) to chose from that increases the number of men with rank as well as the really “special” units available. Since just about everyone thinks that the Stoner-63 is the all around best gun of the game here a closer look at it. Thank you for the possible wild advertisement catch but Snarks is a very old community regular and has recently advanced to become our co game developer all approved by this sites owner and the whole community as such. btw Go Snarks go !!!! This actually existed. Most deadliest of any type of mission at the time and place. Basically your team needs to find and extract with a “presumed” KIA team of friendlies. Lightshot does not display here directly or at least I was not able to make it work with just your link or else I would have edited your post to show the pic. Try to place the pictures DIRECT link into the pop-up that comes when hitting the img-tag here in postings. Back on the topic head. 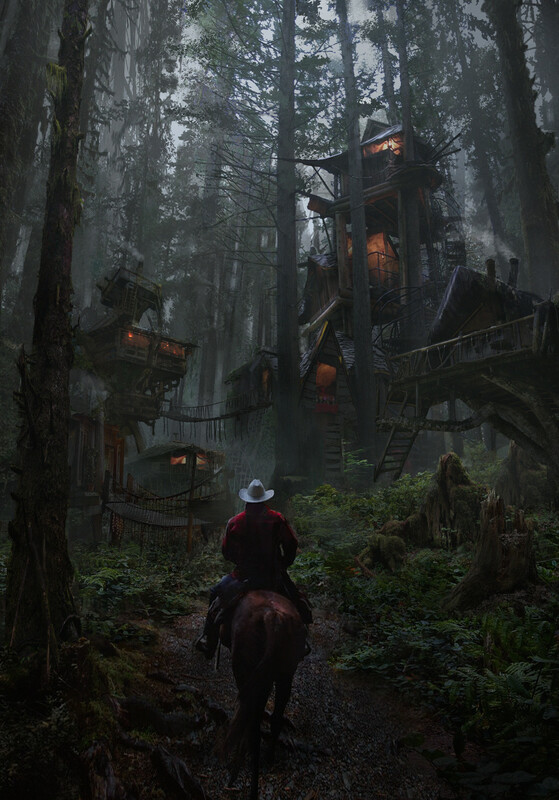 Here a real nice concept art look at a small settlement in the woods. NOTE: The picture is posted for coolness and not reality. Oh hi folks!! Working on Statecraft today. Here the link to the game. This is fully stable and partly functioning alpha game that was created many years ago but then abandoned for other projects although the basic engine is similar to Recon and Star-Destroyer. Current game play and objective. awww I am fairly sure that I gave you a status report on the New Last Winter. It is definitely in the making. However urb got sidetracked again and is now “trying” to get Statecraft into a good beta version.